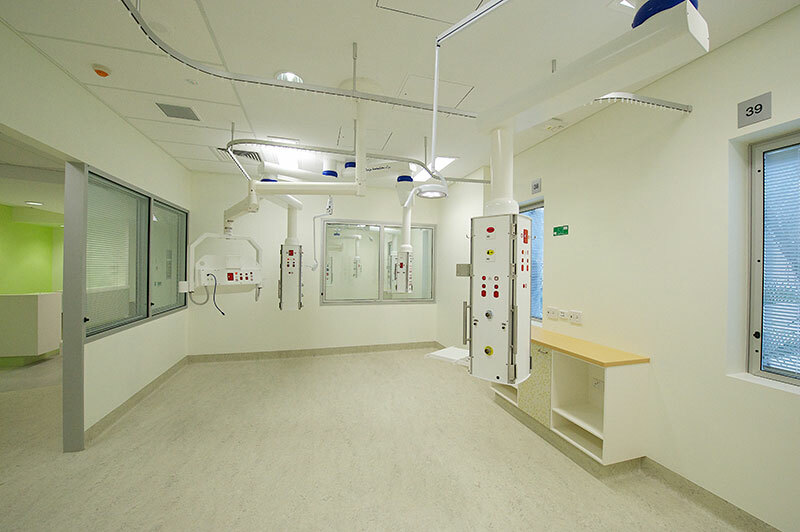 No Other company has developed so many designs and concepts around these departments as we have, the picture gallery speaks for itself, having a High frequency ventilator and Nitric can clearly change the layout of the pendant and/or your environment if the ventilator is free standing or shelf mounted etc. 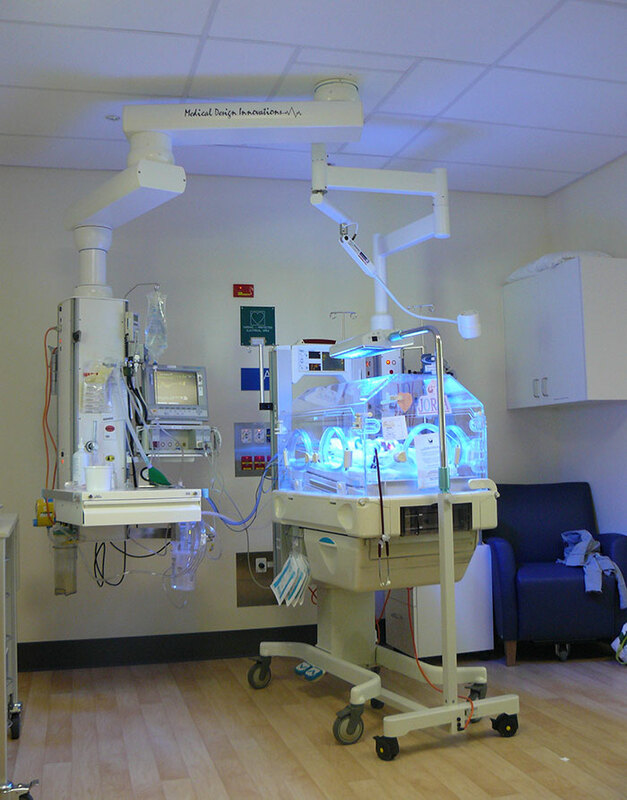 All this and many more mandates careful consideration to your new or existing area, work flow and the ability to have a team Of clinicians performing a small procedure in the room, should this be an enclosed area or combined so much we can help you free of any commitment we are happy to design and create a real size room with all the equipment in place so that you don’t have to guess or risk building a new department that simply needs room for improvement. 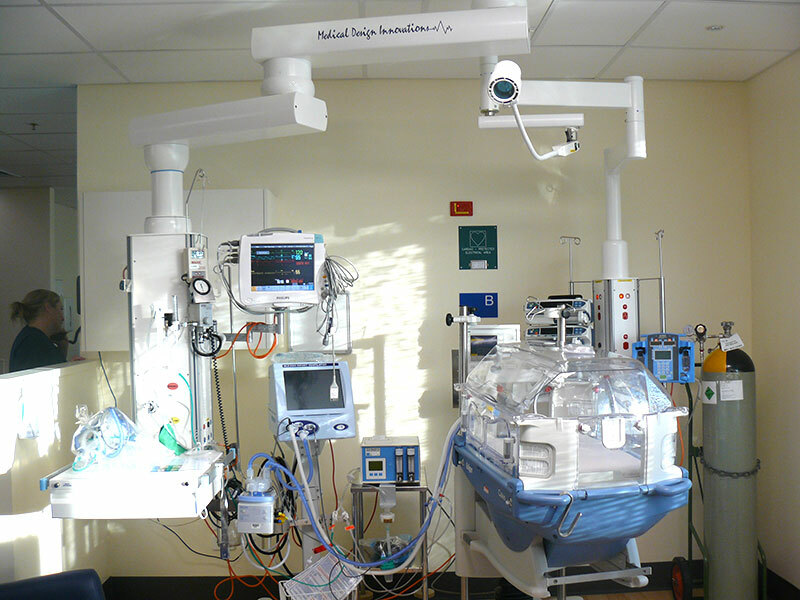 The placement of medical gases power points and all other communications is vital as in these departments Often different nursing staff have different approaches of what’s the wet side and the dry side, we prefer to call these arms the infusion side and monitor side some areas have the monitor with the ventilator and the pumps as well, so wet and dry are all in one arm, what does this mean? 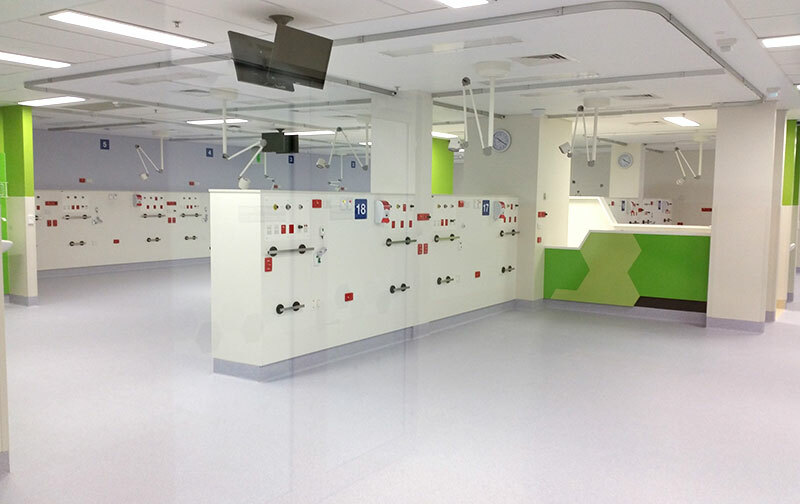 It means that all medical gases and power requirements are not sufficient for that particular instance, we always allow the power and medical gases to be sufficient on both ends regardless of the 2014 needs as a future director of ICU in 2018 may have a different view of the critical care approach in these units. 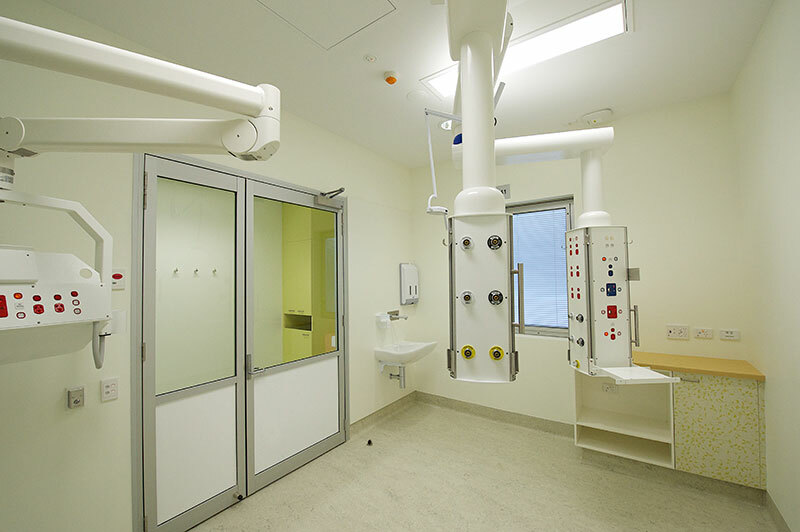 The pendants also should have mounting rails that are able to accommodate for all makes and models of ICU equipment, monitor arms ,suction jars, pumps, drivers ,Diggi brackets ,IV poles, docking systems for Alaris and if necessary ventilator shelves. Drawers are an optional item as many users already have allocated the consumables elsewhere, in most instances the drawer is only fitted on the monitor end. 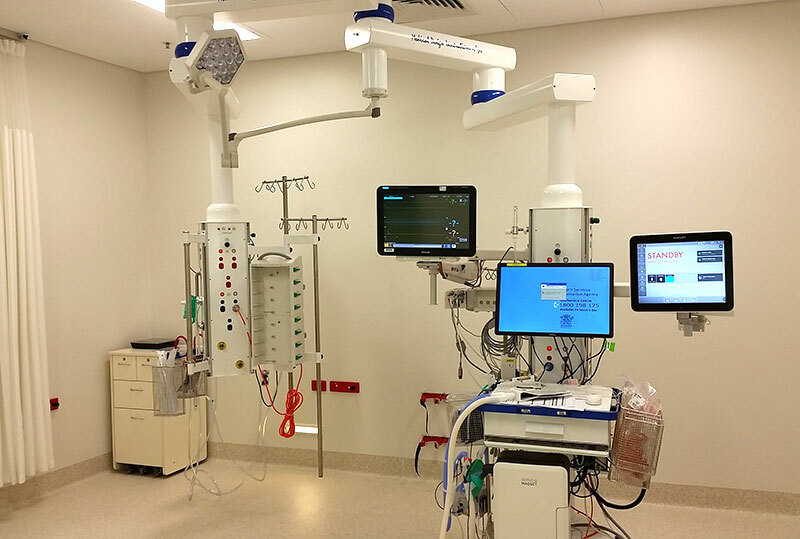 Pneumatic brakes are a must so when relatives or staff accidently lean on the unit no movement is obtained consideration for a brake on the console is also required as rotating the console can cause a serious intubation to the patient.  As most pumps in recent times fit directly into stacker systems it is important to consider the movement of these along with the patient when they are moved or rushed back to OR’s.